Despite the ubiquitousness of modern day glass beer mugs, traditional beer steins remain highly popular among beer lovers. 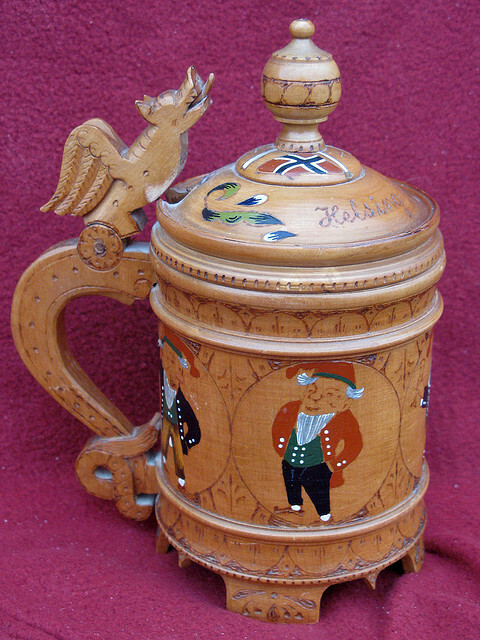 The beer stein does not only provide the true taste of original German beer, but also makes you drink in style. But the fact that beer steins are traditional doesn’t mean they can’t be modified. Some steins are really geeky that they can fascinate even the geekiest of geeks who never drink. They adopt various designs from World of Warcraft, Warhammer, to Superman images. 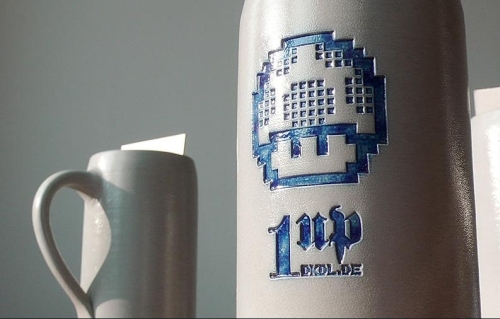 Check out the list of 23 geekiest beer steins below. Pick some to add to your collection or to impress your buddies at your next house party. It’s safe to say that Italian illustrator Alex Horley is a crazy World of Warcraft fan and a truly beer devotee when he designed these WoW: Wrath of the Lich King stein. 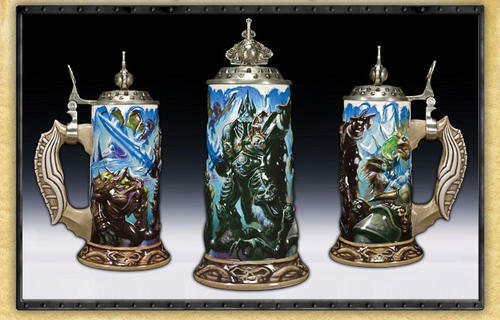 These steins come ornately designed in two cool models, the Horde and the Alliance. Cool stuff don’t normally come cheap though. Prepare yourself for a loss of $89.99 to wow your WoW friends. There is no scientific evidence to support the theory that WoW players drink the most beer, but they are for sure the luckiest ones when it comes to beer steins. 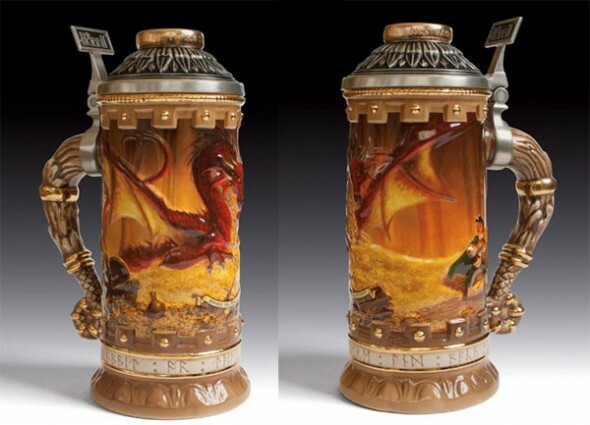 Look at this stunning World of Warcraft Dragonflights stein! The beer mug features an inscription of the Dragonflights, and its handle resembles a dragon tail. Grab the beast and conquer your thirst with a cool Oktoberfest beer! Another creation to indulge the drinking habit of gamers, those magnificent steins aim at Warhammer players. 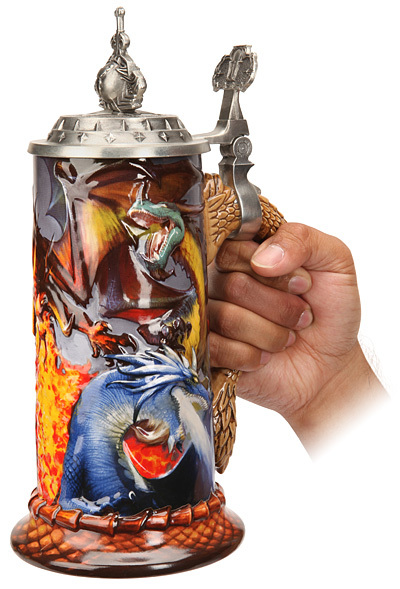 Offered in Epic and Legendary style, these collector’s steins are covered in the art of Michael Phillippi or Eric Polak, depending on if you pick the Order or Raven design. Upon buying, players will get a 15% experience, renown, and influence bonus for 120 minutes. Fans of Battlestar Galactica (BSG) will easily recognize this stein as it’s straight out of the BSG episode “Scar”. 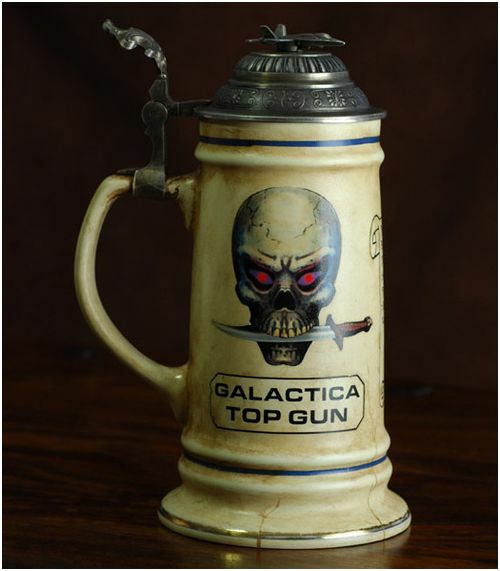 The original Galactica Top Gun beer stein has been reproduced by Quantum Mechanix and was unveiled at this year’s Comic-Con in San Diego. Since its first publish in 1937, The Hobbit has captured the hearts of generations of kids. And now, the fantasy masterpiece is back to lure adults as well. A series of steins based on the beloved fantasy masterpiece, called The Hobbit Stein Collection, is handcrafted in the old-world style with fine-grain stoneware by the world-renowned stein artisans. 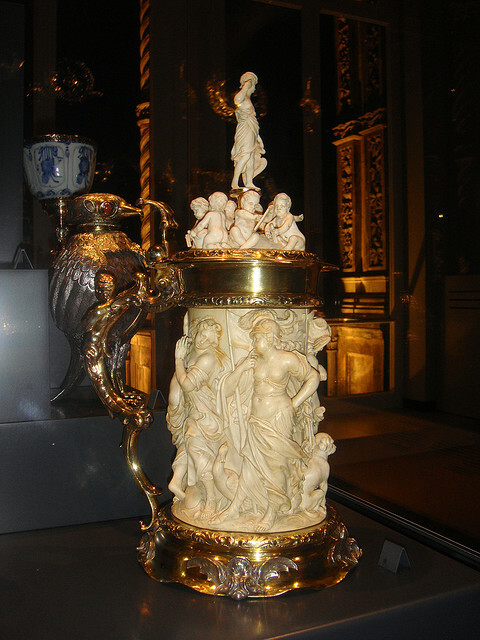 Each exquisite stein stands over 10 inches tall (25.4cm), weighs a hefty 3 lbs. (1.36kg. ), and is topped with a sculpted pewter lid. 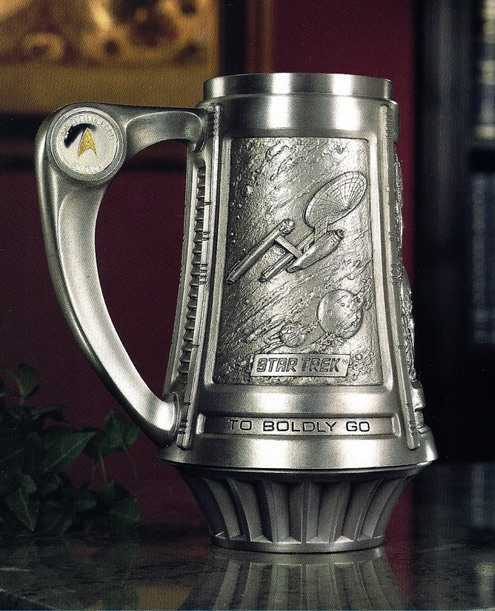 There is no better way to celebrate the 25th anniversary of your beloved series Star Trek with a sip from this authentic Star Trek beer stein. The stein from Mattiene-Arienne has an amazing metallic look and visual symbols emblazoned on the surface with the message “To Boldly Go”. Its three panels display the Starship Enterprise, Likeness of Captain Kirk, Captain Kirk, Mr. Spock, and “Bones”. Have you ever noticed Mary Shelley’s orientation for beer when she named her character “Franken-stein”? 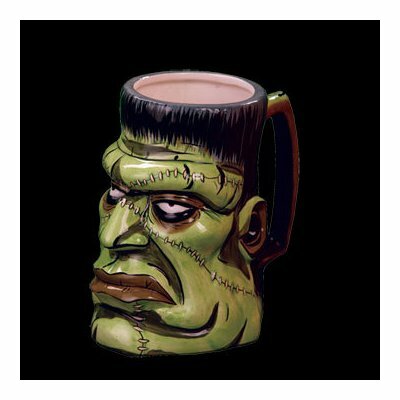 This stein will be perfect for your Halloween party. Frankenstein’s brain has never tasted so good. It’s unclear if beer can give you superman power, but a superman stein will surely make your beer much more enjoyable. 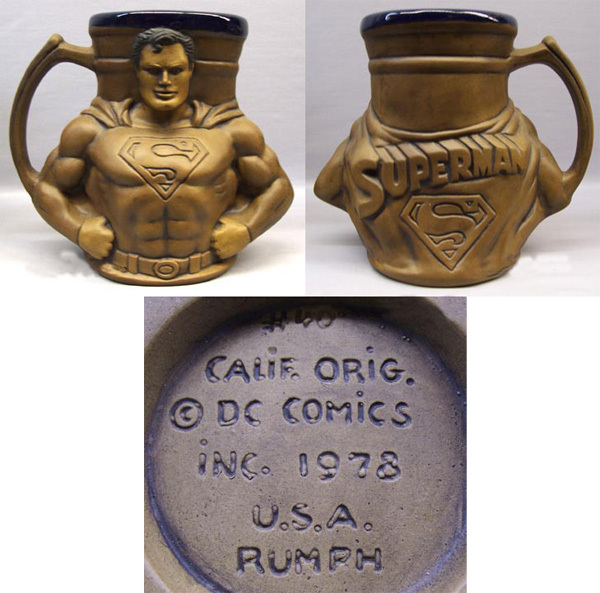 This geeky beer stein measures 7″ tall and 8.5″ wide and features Superman’s upper body one side and his famous logo on the other side. 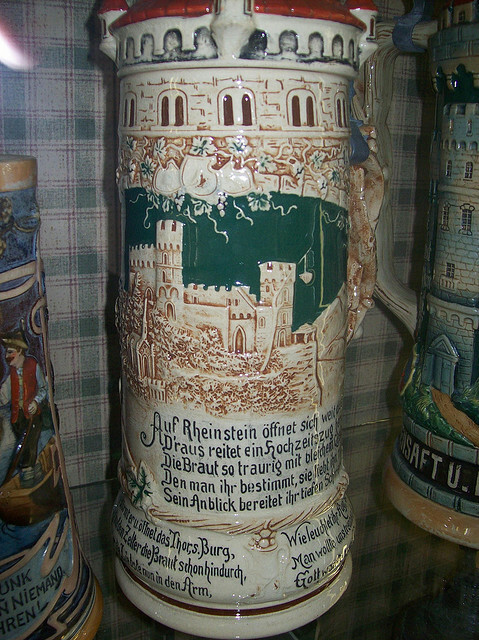 The inside of the stein is glazed with cobalt blue colors. It’s from 1978 and worth $68. 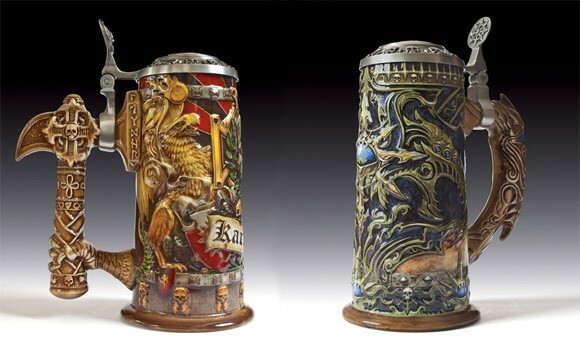 You don’t have to be a video game nuts to recognize the inspiration behind these cool looking beer mugs. These Bavarian mugs are stylized with Nintendo graphics, complete with Super Mario’s 1up mushrooms. The fonts have been set when the clay is still wet and then brushed up with a blue color wash to give it that old classic look. If you are wondering if you have seen this stein before, take a look at your browser. 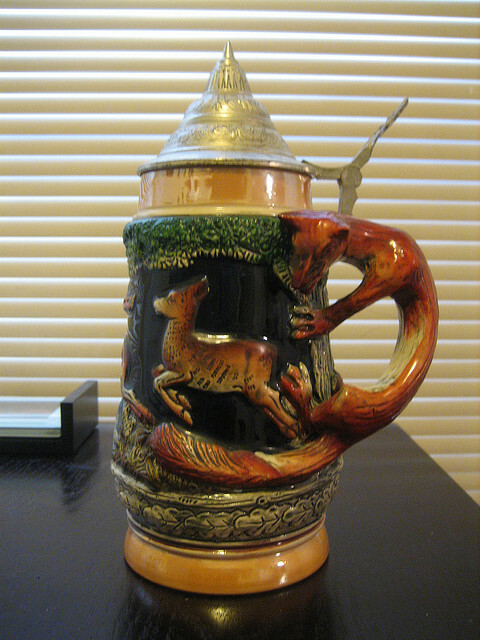 It’s hard to identify which came first, this beer stein or Firefox logo. Friar Tuck is probably one of the most beloved characters in Robin Hood series due to his cuteness and jovial personality. 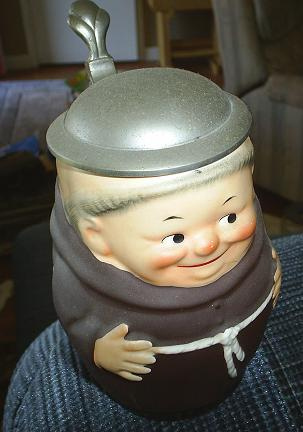 The Friar Tuck beer stein will give your drink with friends much more fun. 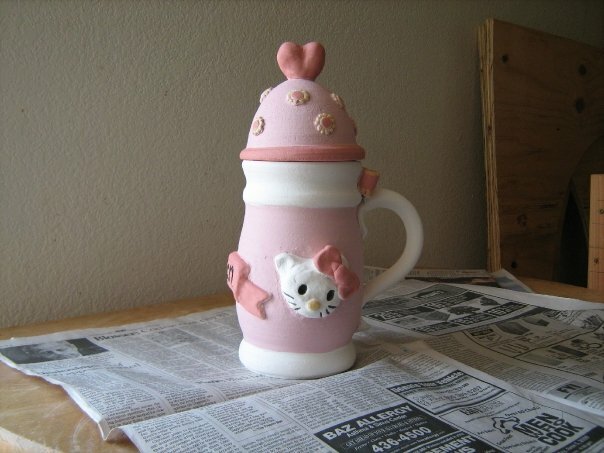 Want to drink beer from a PINK Hello Kitty beer stein? Neither do I. Sam Gueydan, a self-proclaimed professional potter, has proven that anything can be Hello Kittified, no matter how nasty it is. Remember to hide it from your girlfriend before she forces you into buying one. 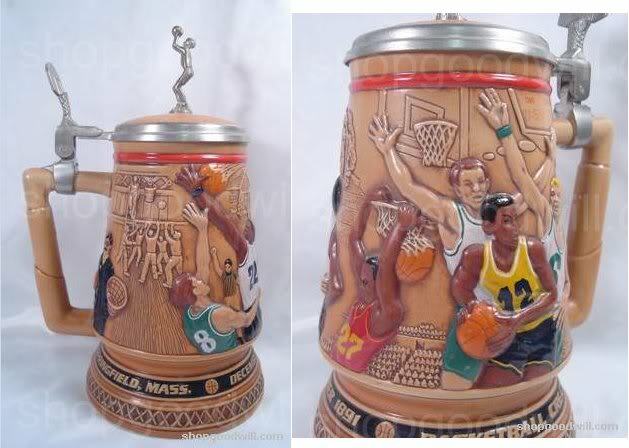 This is a stein to show off your drink ability. 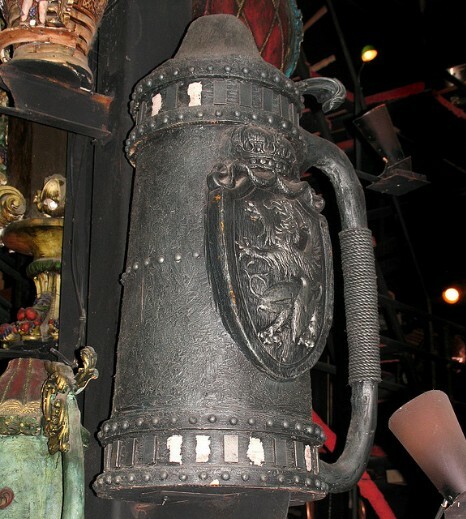 Weighing around 36 pounds and standing over 4 feet tall, this is the largest beer stein in the world of its type. The body of this stein flaunts a painting by Brueghel depicting a wedding scene. The world’s biggest beer stein, of course, doesn’t come at the smallest price. Prepare yourself for a loss of $6,027.99 to bring it home. It’s unclear how big this stein is, but it’s obviously very big, at least double the normal one. The antique metallic look adds to its intimidation. Who knows if you touch the beer stein a genie will come out? How about drinking legendary German beer from a legendary German beer stein? 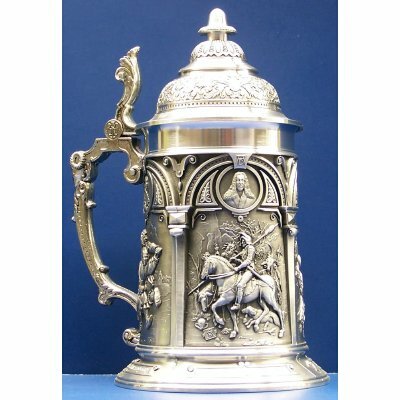 The theme of this stein is taken from an old German legend that tells of Gerda, the daughter of Count Diethelm of Rheinstein Castle and her happy-ending romance with Helmbrecht, heir to Sternburg. This chic looking beer stein is found in a souvenir shop in Voss in Norway. For display purpose only as its wooden body is likely to be rotten when filled up with your beer. What looks like a Renaissance masterpiece here is actually a beer stein, or a tankard. Are you thinking what I’m thinking? It should be displayed in an Italian museum instead of being on the table filled up with beer. 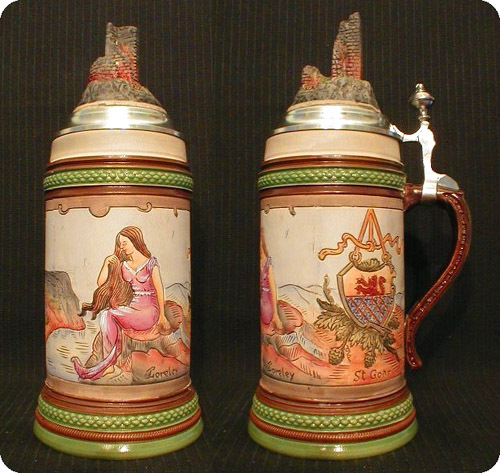 Taste the best of traditional German beer with this classic ceramic beer stein. It comes decked out with awesome designs from Germany and a sturdy metal lid to make sure those lovely suds stay in there and not on the carpet. Celebrate the winning of your favorite NBA team with this basketball beer stein. The taste of winning is never better. Astronauts might never have a chance to touch the magic liquid, but it doesn’t prevent them from being loved by beer lovers. 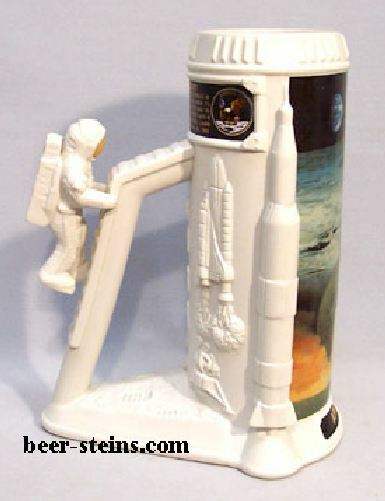 This ceramic and pewter space stein commemorates the Apollo 11 mission to the moon with highly detailed reliefs. This one is truly for geeks, for who else would know who Albrecht Durer is? This awesome stein features the portrait of the German painter and some of his most famous works, including Knight, Death and the Devil. It might be hard to choose between bacon and beer, but two of them to go together is never a bad idea. 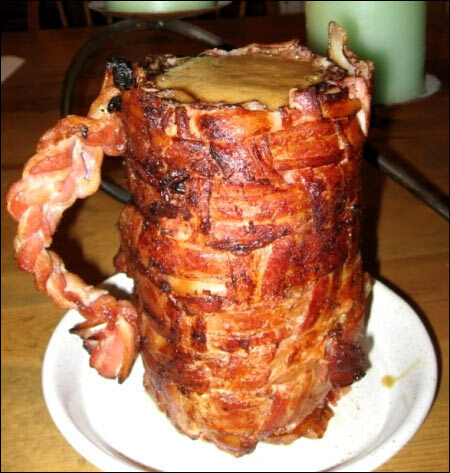 Look at this bacon mug, it looks so real that you are almost convinced not to eat. 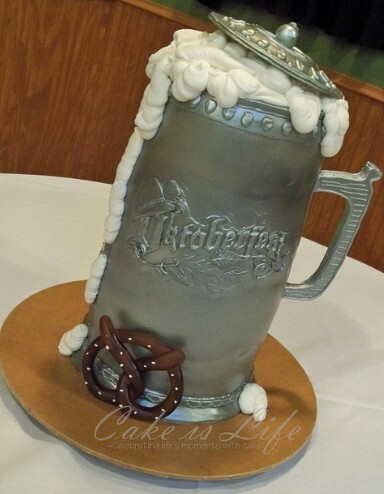 Another beer stein for your appetizer, this Oktoberfest beer stein cake comes in different flavors: Mocha, Milk & Cookies, Veggie and Strawberry Shortcake. The whole thing was stacked and iced in Vanilla Butter cream and then covered in White Chocolate Fondant.